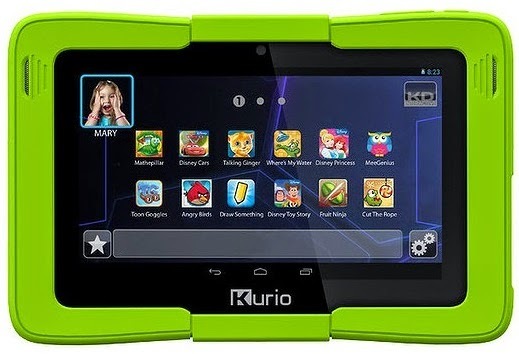 The Kurio 7s is a 7-inch Android tablet that comes with built-in parental controls and a kid-safe web browser so that your kid won't be able to access any no-no sites. Plus, parents have the option to add as many as 8 different user profiles, each with its own settings and files. The added time management controls can be used to assign usage time limits or time slots to each user account, ensuring that kids won't stay up all night playing Flappy Bird on their Tab. Also, you don't have to worry about your kid damaging the Tab because a thick silicone bumper has been attached to the device which protects it from accidental drops. 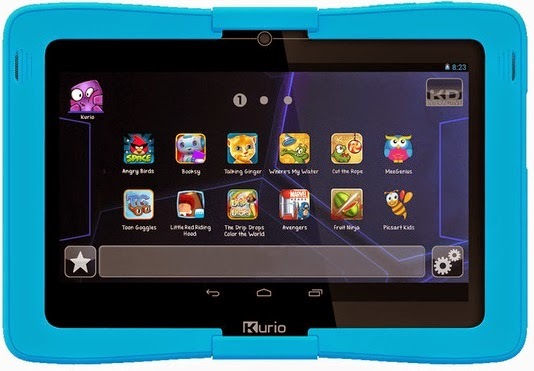 Furthermore, the Kurio 7s sports a 1024 x 600 pixel touchscreen, a dual-core processor, cameras on the front and back, stereo speakers, and 8GB of expandable storage. You've heard of a similar name like this before ? Yeah, we just talked about it's younger brother above... LoL. The Kurio 10s isn't much different from the 7s model. It's design is identical as well, just that the Kurio 10s is better in terms of hardware. To be more specific, it's screen is a 10.1-inch IPS panel with a resolution of 1280 by 800 pixels. Under the hood ticks a Quad-core CPU, along with 1GB of RAM and 8GB of expandable storage. 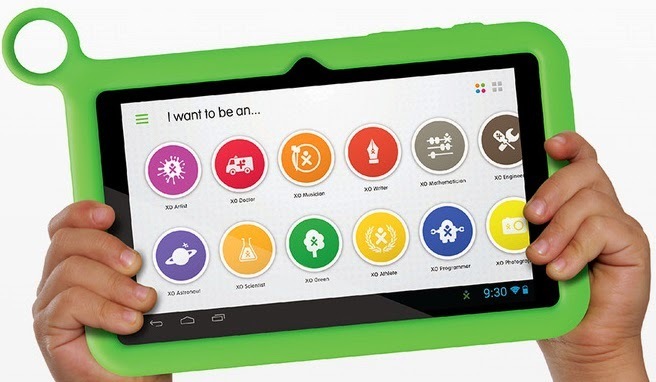 The makers of the 7-inch Nabi 2 tablet have also developed the Wings Learning System, which provides parents with feedback on their kids' activities and performance levels. In addition, the software features time controls, which let parents manage how much time their children are allowed to spend on the device. Inside the device's shell, protected by a rugged, colorful bumper, runs a Quad-core Nvidia Tegra 3 SoC, meaning that the tablet should be able to handle even most Android games. The Nabi XD has got a very nice design, it's really nice you'll think it's a regular Tablet and maybe that's why it's the most expensive Tablet on this list. Unlike the previous slates mentioned above, this one stands out with a sleek aluminium construction. There are Educational software features on the Nabi XD too, along with Kno ( a collection of digital textbooks with over 200,000 items in its catalog). The 10.1-inch screen of the device has a resolution of 1366 by 768 pixels, and its Tegra 3 SoC should be able to run both light and moderately heavy apps. Based on the Samsung Galaxy Tab 3 7.0, the Galaxy Tab 3 Kids edition comes with a protective bumper and a simple, kid-friendly user interface. TouchWiz is also present, meaning that the Tab 3 Kids can function as an ordinary 7-inch Android slate. Much like the tablets we already mentioned, this model features parental controls for setting what kids can and cannot do on the device and timer controls for managing kids' time spent on it. An advantage for the Tab 3 Kids over other kid-friendly tabs is that it can access the Google Play store. 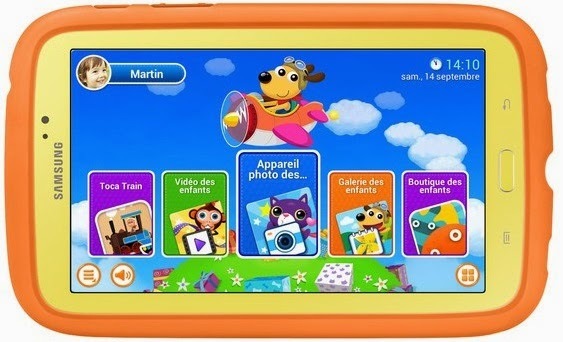 With the LeapPad Ultra, kids can enjoy many games, eBooks, apps, videos, music, and more, designed by learning experts, just for children. Web access is also possible through the built-in browser with a kid-friendly content filter. Moreover, the device itself is built to be resistant to drops and bumps. The XO tablet comes loaded with educational content spanning across a multitude of topics, from math and science to arts, music and it can be used for reading books and for accessing the web. Parental controls and multi-user support are on board, of course. Moreover, the XO tablet can utilize the stock Android UI with access to the Google Play Store. As far as specs go, the device features a 7-inch, 1024x600 pixel display, a 1.6GHz dual-core processor, 1GB of RAM, front and back cameras, and 8GB of internal storage. 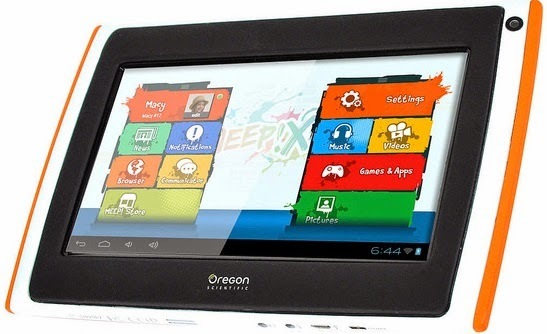 The Meep!X2 has a rugged design, like any kids tablet should. It is an Android based device with a 1.2GHz dual-core processor, front and rear cameras, 4GB of expandable storage, and many pre-loaded apps, games, and books. Parents are allowed to modify a device's parental controls remotely, to send instant messages to the user, and to buy virtual coins which kids can spend on extra software. 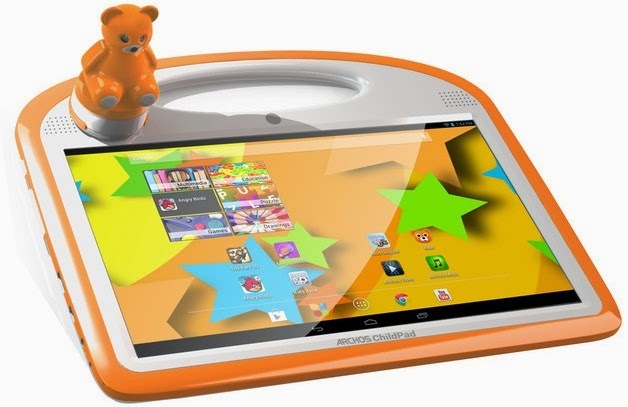 From Polaroid we have this 7-inch, Android based slate with a kid-friendly design and a kid-safe web browser. 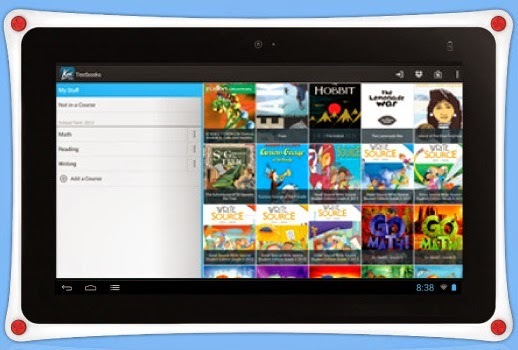 35 premium apps come pre-loaded on the device, along with 10 interactive Dr. Seuss and Smithsonian books. The App Shop center, which is also found on Polaroid's slate, makes it easy for kids to find new apps and games suitable for their age. Say "Hello!" to the ChildPad 10.1. And to Teddy - a music-playing figurine that comes with it. 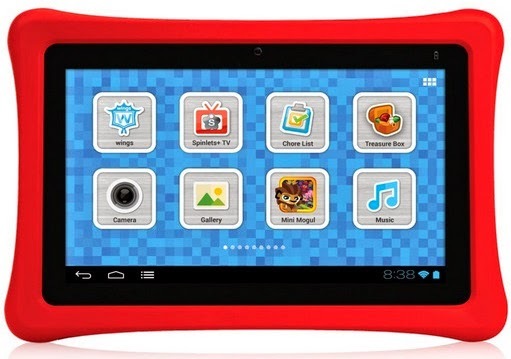 This Android 4.2 slate features parental controls, kid-friendly filtered web access, curated lists with apps for children, and access to the Play Store's rich library of content. 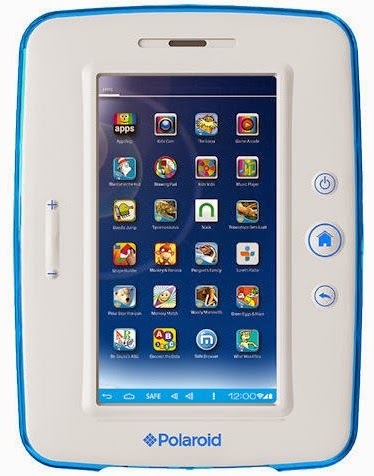 Which of the Tablets listed above will you like to buy for your Kid(s) ? and what do you think about them ? Kindly use the comment box below to share your contributions and thoughts. Don't forget to share this post with others and you can subscribe to our free mailing list to get other important updates like this. Cheers !!! 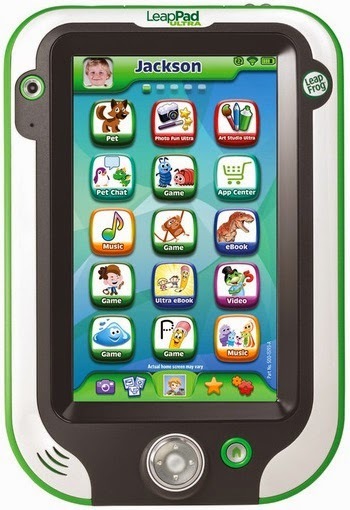 I got the nabi 2 for my daughter a couple of yrs back from BestBuy. Indeed it was a good buy but certainly has its flaws. It is not that sensitive to touch, and the "back tab" failed to operate most times until it packed up less than a week ago. I am actually online right now looking for what to buy in replacement, cos i have not had a good rest without "Daddy where is the nabi" kind of question. Thanks for your review, quite helpful. Hope i make a good choice. Functionality, ruggedity, and durability are what i need most in my next buy. Hello there, what a really nice feedback from you. I hope your kids enjoy their next tab ! Hello pls can you help me out with the shop where I can get the tablet XO KIDS I stay around ikeja. Sorry, I don't really know any particular shop in Ikeja where they are selling XO KIDS but I'm very sure if you ask in Computer Village, they will be able to direct you to a shop where they are selling it. Nope, It's not... It can only be used to access the internet via Wi-Fi since it has no SIM slot. Yes, you'd be able to put the Cartoons on his tablet, you might want to get him the Samsung Galaxy Tab 3. Sorry for the late response! Hi, It's available in Gadget stores around you, you can check any Slot outlet. If it's not available, ordering it online will do!